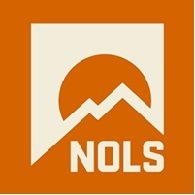 Average rating of 5.0 for all National Outdoor Leadership School trips. Explore Salmon River in Idaho. Enjoy floating on crystal blue waters through a stunning granite canyon. Have an opportunity to learn and practice river rescue skills, captain boats. Explore the mountain kingdom of North America. Experience vast glaciers and rugged terrain. Explore the coastal Chugach Range.